The National Inter-Club Handicap Tournament is a competition for teams of 3 players consisting of a singles and doubles competition. As well as prizes for the two competitions the Inter-Club Cup is also awarded to the best team with points awarded for results in both the singles and doubles events. The tournament has traditionally been played between the clubs with courts but this year we have opened up entry to the wider tennis community including travelling teams, companies, schools and alumni associations and other clubs. This year's competition will take place on 27th and 28th October 2018. The tournament is hosted at Moreton Morrell but each team will also play matches at Leamington Tennis Court Club. If you would like to enter a team please download and return the entry form below. 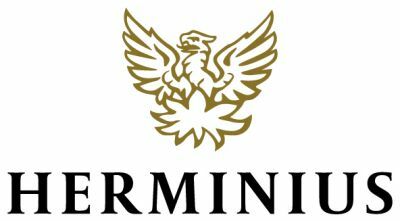 Herminius is MMTCC's Platinum Sponsor for the 2018-2019 Season and sponsor of the Inter-Club Tournament. The tournament will consist of up to 12 teams each consisting of 3 players - one for singles and a doubles pair. A team’s points will be calculated from their singles and doubles results and a cup presented to the winning team. Box matches will be played at Moreton Morrell and Leamington on Saturday. Each player can expect to play at both Moreton Morrell and Leamington. The knock-out rounds will take place at Moreton Morrell on Sunday with the finals taking place mid-afternoon.